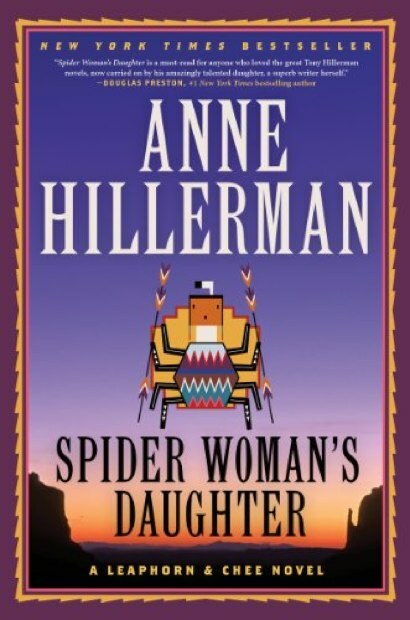 Tony Hillerman’s daughter picks up the threads of his wonderful series of Joe Leaphorn/Jim Chee novels set in and around the Navaho reservation. This novel fits seamlessly into the late Hillerman’s late canon; indeed, it wouldn’t surprise me if Anne Hillerman had a hand in The Shape Shifter. The plot revisits (and twists) some of Hillerman’s best early books, we travel a bit more than was the elder Hillerman’s habit, and perhaps we occasionally have a bit more exposition. If you’d like more Chee, this book’s for you. What should people need to know? You can go into a coffee shop and tell them you’d like your eggs over easy. Or you can tell them that you prefer your eggs scrambled until not quite runny, then lightly sprinkled with chives. You don’t expect them to just know that’s how you like your eggs, you don’t fool yourself into thinking that this “over easy” jargon is imposed by the technical priesthood simply to vex you or because bad managers let them get away with it. A grand debate is raging about the proper way to market iPads and other tablets. Should ads highlight the amazing things that exceptional people can make? Or should they emphasize the easy things your grandmother can do? Both, of course. But you know where my sympathies lie. There’s work to do…. There are people to feed, art to make, science to discover, sickness to cure, a climate to preserve, and winter is coming. A common corollary asks whether it’s a good idea to expect people to know, or learn, anything in order to use your software. In the old days when we all walked nine miles to school, we had to learn stuff that was simply extraneous, just details about the software. “Esc-J joins this line with the following line; esc-$ moves to the end of the current line.” We don’t do a lot of this anymore, thanks to good displays and thanks to Engelbart’s mouse. But there’s other stuff you might need to know. If you’re using Brushes or Sketch Club to draw pictures of people, you’re eventually going to need to understand some anatomy and you’re going to need to understand how to mix colors. Perhaps we can make things a little easier at the margins, and perhaps we can help you have more fun as you learn, but until you do learn this stuff, your work isn’t going to be entirely successful. Working with Tinderbox, you’re eventually going to need to understand inheritance. I expected that people would have a hard time with this; it’s notoriously hard to teach in introductory computer science. It turns out that people seldom have much trouble picking up inheritance, but it’s bound to take a little while. I think that’s one reason so many people take a week or two with Tinderbox before the epiphany. For export, Tinderbox pretty much expects users to have, or to pick up, the rudiments of HTML. This ought to be straightforward, but it hasn’t been. At this point, it seems to me, knowing the elements of HTML markup is simply part of what we expect every educated person to know. Everyone needs it, it only takes an afternoon to learn. The resistance has surprised me. When you want Tinderbox to cooperate with other programs – something that’s esoteric by definition – Tinderbox expects you to understand the scripting language of your choice. That seems reasonable to me. But people hate this. Many problems arise because our tools seem so magical that people sometimes are fooled into thinking they are mystic – that they can (or should) intuit what we want. They can’t. If you want to export your information the way you want it, you’re going to have to say what you want. Or you’re going to go to the cafeteria and get your eggs from the steam table and, if you do, you must not complain about the way they’re cooked. 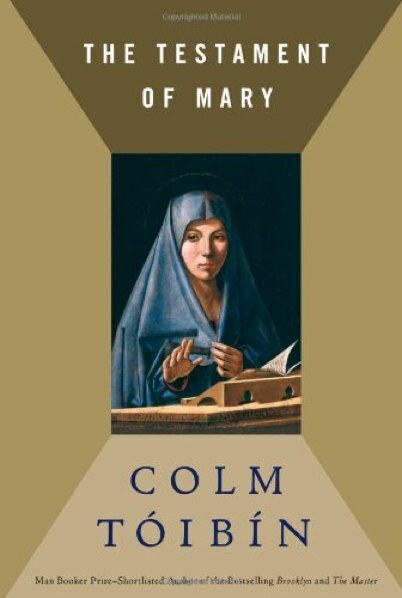 I liked Meryl Streep’s reading of The Testament of Mary. So did NY Times writer Charles Isherwood. Thanks, Rosemary Simpson. Memo to files: for any game that was worth watching the first half, it is also worth watching the second. Ouch. The first preview trailer at Catching Fire was for the March release of Divergent; they know their audience. Lots of young women at Catching Fire with hair in one long braid, worn over the shoulder. Also, at least one Primrose in the audience. Both of the novel’s good moments work beautifully here. That’s everything you could ask. The problem of the Harry Potter movies was always that the fan audience wanted every detail, and that made the movies too long. Here, just about every detail gets onto film, but the stray subplots are handled entirely visually. This demands a lot from the viewer, but the fan-viewer is prepared to work a bit and the casual viewer doesn’t need the subplot anyway. Update: Wesley Morris at Grantland. At the Tinderbox Forum, an interesting post reminds is about the challenge of everyone’s everyday knowledge work. I do economic development for a local government, and one of my primary programs consists of running a network of 25 or so resource providers (i.e., consultants) who I connect with various clients. The short version is: a) meet with a client and figure out where they need a hand, and b) start matching them up with consultants who can help them out with their challenges. I'm the matchmaker. i also just created a map of all 162 consultant visits we made this year, grouping each individual consultant visit into various categories (i.e., 44 of the visits were in the "business planning/strategy" category; 14 were in the HR category; 16 were in the "sales/marketing" category, etc.) I'm putting that map up on the projector screen tomorrow during my steering committee meeting. Its a great visual. I'd expect this would be terrific, too, for lots of NGO work. A richly imagined monologue by a tired, elderly woman whose son was executed many years ago. She is beset by importunate men – she does not, as a rule, like men, though she deeply misses her husband. These men are misfits like those her boy gathered about him and who now eagerly bend her story to their own purposes. Their lies frighten her. The audiobook edition is performed brilliantly by Meryl Streep, who was born for this part. A frequent trope of user interface discussion, one often picked up by journalists, is to hold up a bit of bad design to show how cravenly ridiculous it is. This has been going on for a long time – Louis Sullivan’s Kindergarten Chats sometimes border on this – but in tech criticism I associate the style’s roots most closely with the enormously influential Don Norman, the father of information appliances. Ridicule is closely coupled in practice with a deeply anti-intellectual strain that wants to remove effort, learning, and expression from computing and that valorizes the new user to the exclusion of everything else. Today’s software marketplace exaggerates this: what demos well sells, and once you’ve made the sale, it’s time to move on to the next mark sales lead user. App stores make this worse because they eliminate update revenue and mostly eliminate the demo phase: show the user a pretty screen shot and maybe a two-minute video ad, take their 99¢, and move on. Artisanal software can resist this, but there remains the insidious call to do stuff right – to polish those tabs some more, to speed stuff up, to make things work. Even things that, maybe, don’t need to work. Yesterday, I spent most of the day on a problem report. 159: Dragging more than one file at a time sometimes fails to create notes. To the connoisseur of bug reports, the key word here appears to be sometimes. Either some files never create notes (and we discover this most easily when importing a bunch of them), or some files will fail to get imported the first time because some concurrent process is getting in the way. Both are plausible. I set out to instrument things to monitor the import process. An hour later, I found that all this analysis was wrong: dragging more than one importable file at a time always created one note. The code was written to ignore the extra files; all the instrumentation was looking at the wrong place. So: why was the code written to import only one file? Because that was easy and got the most common case out of the way. But it’s obviously nicer to accept a bunch of files at a time, and the generalization shouldn’t be difficult – not if the code is any good, not if you understand Composites. So, I added some more tests and refactored and a few hours later, the tests said we could import a bunch of files. And a few hours after that, Tinderbox actually would import a bunch of files: the Undo system (of all things) was undoing all our new work and saving only the one file we formerly imported. No one expects the Spanish Inquisition, and what idiot designed that? So: it works now. It’ll take another day to polish and test and to get all the instrumentation cleaned up and put away. And, sure, it would be pretty ridiculous to require someone to drag a bunch of individual files one by one, rather than selecting them all and dragging. That’s making people work for the machine! What ridiculous design! But: how often do we do this? I use Tinderbox a lot, and I might import a collection of files once or twice a year. Even then, six or seven files is probably par for the course. How many files could you drag, one by one, if you had all day? And, of the people who need to do that, how many have an assistant or an expendable grad student to do it for them? I may have spent the whole day chasing style points or hiding from ridicule. Damn. I am at Friday night dinner, and I am somewhat glum because on Thursday I spent too much money fixing my car and though they repaired brakes and locks and belts and bearings, they apparently overlooked the part of the exhaust that breaks on the way to dinner. And perhaps I am not holding up my end of the conversation because the Kitchen Therapist, our hostess, pointedly asks how Tinderbox Six is progressing and on what exactly I am working. “This is what you do?” asks the Business Professor. “The whole afternoon?” And I am hearing again my Uncle Fred, who said computers were a pursuit unworthy of anyone capable of being a surgeon. And I hear my own defensive crouch – that there were six or seven other bugs that got fixed, that one European scholar wanted me to make screen shots for her thesis and another student needed handholding to install a $25 hypertext and that nobody else is going to do this stuff if I don’t. And someone ought to, because learning to understand hypertext really matters. Besides, those shadows are tricky and require two completely different mechanisms because one is drawn and the other is part of the layer composition stack. So I say nothing. It's very difficult to tell which tab is in focus, which makes it very difficult to switch from Outline, to Map, to Chart, to Attribute Browser. I’m sweating it for the guy who just wrote to explain that he put off buying Tinderbox for six years because the default appearance had too many bevels and shadows. I am not picking on these folks. They are not wrong. The backstage crowd has found 157 issues, more than half of which have already been fixed, almost all of which got past the Eastgate insiders, and Tinderbox Six is already vastly better than it was a couple of weeks ago. Meanwhile, the people at CHI and ACM Hypertext perform carefully controlled studies that sometimes influence other carefully controlled studies. I can’t remember that last time someone sent me a CHI paper and said, “try this!’ I can’t remember the last time I came home from Hypertext eager to build someone’s new idea into my system. But we don’t talk about those around the dinner table or across the conference table. We don’t talk about that stuff; we mostly talk about tabs and icons, bevels and borders, freemium schemes and iOS vs. Android and how about those Cubs. There’s work to do. It’s not really so difficult to click that tab. There are people to feed, art to make, science to discover, sickness to cure, a climate to preserve, and winter is coming. But here we are again. talking about tabs and shadows. 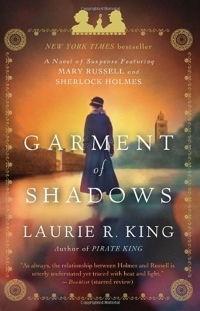 In the first volume, Taylor established her heroine’s stubbornly independent intelligence with exemplary speed. Here, she nearly squanders that accomplishment. Taylor has set herself an unreasonable task: the problems of a trilogy’s middle book are well known, but to these she has added the problem of a depressed protagonist. Karou is weirdly passive and pointless through these days of blood and starlight, as she obeys the orders of a leader she despises in the service of a cause she mistrusts and to which she is indispensable. She used to be BlueKarou@HitherAndThitherGirl.com, standing athwart the Charles Bridge in Prague and shouting “stop” to a legion of angels, but now she sits in her room and does as she is told. She has every right to be depressed, but it’s not nearly as much fun to watch – and even less fun since we know where this is leading and we’re going to have to wait some months more for the final volume to appear. The first volume seemed clearly intended as a response to Pullman’s His Dark Materials. This volume raises doubts. Pullman’s The Subtle Knife is about childhood’s end, the discovery that you cannot rely on either your parents or your faith or your friends. This volume seems the conventional middle passage of a romance. I was reading TLS over breakfast, and came across an enthusiastic review of The Full English. I’m not up for a quick trip to England for a concert, but iTunes has the record and it’s fun. In Tinderbox maps, we often need to choose a sensible text color for a note based on the note’s background color. Problem: Given a color’s RGB or HSV values, choose whether black or white text is more suitable. Note that simply looking at brightness won’t suffice. Here’s are two colors that have 100% brightness. 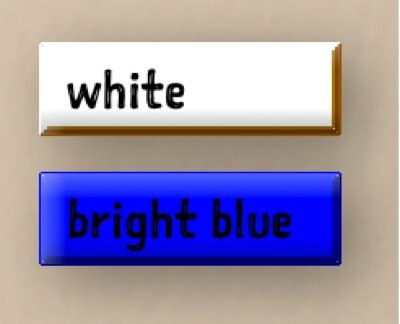 Clearly, white needs black text, but blue appears to want white text. The solution must be well known, but I don’t know it. Do you? Email me. UPDATE: Ed Blachman finds the answer, nicely explained by Nir Dobovizki. where r,g, and b are the color components on a scale of 0-1. In essence, this measures the distance from black in RGB space, weighting each color for the sensitivity of the eye. Lightning doesn’t strike again in this conclusion to the trilogy that began promisingly with the first half Divergent. In that beginning, we set out from a wild premise – an urban dystopia about a society built entirely on high school aptitude tests – and enjoyed some fine world-building. Unfortunately, the crazily schematic world plan turns out to mask the author’s weakness for thin characterization. The world of Divergent is childish but convincing, a society bound together by summer camp ritual and tasty treats, and its depth perfectly suits the stock characters and stock plot points. But Roth demolishes the world and, without the schematic depth, the cardboard sags. Worse, it’s now clear that Roth created a love interest for her heroine and proceeded to fall in love with him; this is Tris’s story but we’re so enamored of her friend Tobias that Tris is pushed to the background. As she fades into a supporting role, Roth needs to reach for some character traits to attach to her. Tris has already led two revolutions, and tomorrow will bring a third. She has been isolated from her beloved, they have reconciled, and now at the end of the world and at childhood’s end they finally fall into each other’s arms and into bed – and Tris collapses into a sudden anxiety of self-doubt and loathing over the size of her breasts. Never mind the absurdity of the idea that young Dauntless, daredevils who live for today and scorn thought of the future, would “save themselves.” The world is ending. Their friends and family and comrades have been dying almost daily. We’ve spent nearly a thousand pages establishing Tris as a wonderfully competent soldier with a preternatural ability in combat to do what must be done and the athletic talent to do it; now, as she finally undresses her beloved, she’s panicked because she’s too flat-chested? The first half of Divergent is a terrific novella. Get the book, read it through the end of bootcamp, and then work out what happens for yourself. 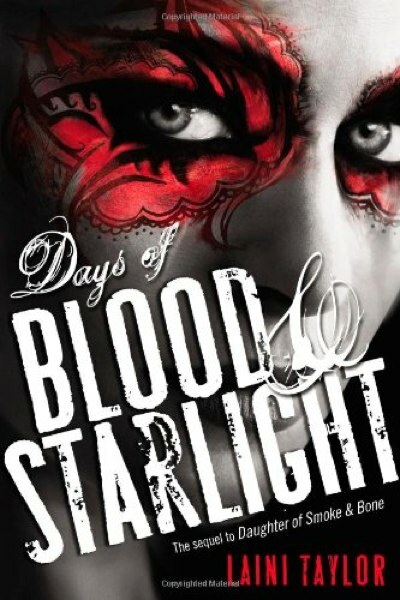 I’ve been reading Lainie Taylor’s Days of Blood and Starlight, part of a series that can, I think, be read as a response to Pullman’s His Dark Materials. And Pullman, of course, wrote in response to Narnia. Pullman and Taylor are both knowingly of the Devil’s party; I’ve been wondering if an interesting intellectual case might be drawn up against them by a member of the other side. Alan Jacobs indicts Pullman’s His Dark Materials as dishonest. He conjures skillful collection of talking points, I doubt this can persuade anyone who has not already chosen sides. Jacobs assumes that everyone knows that Christianity is not in fact at odds with science and sensuality and sexual joy, and that it does not in fact collude with the right wing extremists. From the perspective of his green collegiate groves, Jacobs might not be wrong. But anyone who looks at the world kids know, from silver ring things to the crusade to demolish Planned Parenthood, from abstinence-only education to the muscular christianity of locker-room prayer and the delights of Opus Dei, knows more and knows better. Jacobs thinks that Pullman loses his way when “the key anti-theological moment—toward which the whole narrative has been heading—is abruptly passed over in a few lines, [and] the characters turn to things that more greatly interest them.” This is a wild misreading. Obviously, when Will and Lyra make love, they remake the world, they heal it and renew it, and Dust – which is to say heaven and earth – sings its praise. They’re not distracted. This is indeed the anti-theological moment to which the book has been headed all along: love and self-knowledge. Will and Lyra, too, must leave their garden. Then whets and combs its silver wings. They leave not because they defied Authority and learned too much, nor are they were driven out. This time they leave because their departure lets them knit back together the rents that the long war against The Authority and his regent have torn in the fabric of the universe. It’s here, and not in tendentious comparisons of Lord Asriel to Joe Stalin, that a Christian case against Pullman might be built. But obviously that’s for other hands than mine. There’s an interesting contrast with Katniss Everdeen. The Hunger Games makes an effective counter-argument, though not always an attractive one, by denying the power and virtue of sacrifice. No one asks Peeta to sacrifice himself, and in the end he does not. Katniss cannot sacrifice herself, for her duty demands her survival. Though some sort of abstract love is much talked about through The Hunger Games, Katniss is an argument that love doesn’t really matter, very much, either way. Will and Lyra free God and slay him, but for Katniss theology is a pointless luxury; she saves herself, frees her people, and like Cincinnatus returns to the plough.